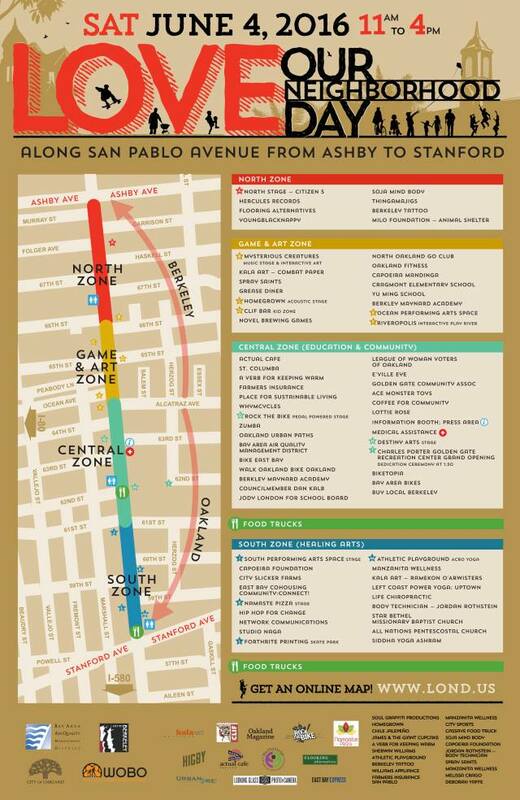 The North Oakland neighborhoods of Golden Gate, Santa Fe and Longfellow, and West Berkeley and Emeryville neighbors join forces to temporarily close San Pablo Avenue from Ashby to Stanford on Saturday, June 4, 2016. See our press release for latest information about the event. Join us on social media: @loveourhood (Facebook, Instagram, Twitter). A catalog of photos and videos from June 4, 2016 can be found here. Make a donation or sponsor our event. Love Our Neighborhood Day 2016 was a success, bringing over 10,000 people to the streets of San Pablo, Oakland. More then 100+ activities and 150+ music performers and 150+ Dance performers enlivened HWY 123 for 5 hours of open streets, creating a safe zone for all ages to enjoy. 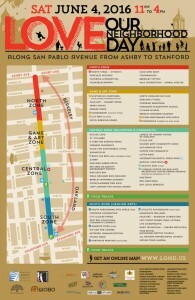 Sunday, August 21, the neighborhood group will raise a glass to celebrate. 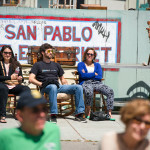 Love Our Neighborhood Day Fundraiser – Gratitude Party will be Novel Brewing 6510 San Pablo Ave, Oakland, CA 94608, 6-9 pm. Sign up to receive updates on the June 4 event through monthly newsletters like the ones below.